Ready to serve all automatic door repair Toronto needs, our company is the best bet when problems pop. Why put up with problems when the solutions are just one phone call away? The minute you observe a problem with the swing or telescopic automatic doors, give us a call. Should you ever run into urgent troubles, rely on the quick response of our team. When it comes to automatic doors, everything about them is vital. From the ones you choose for smooth traffic flow to the way they are installed and fixed, every little detail will make a difference to your business. 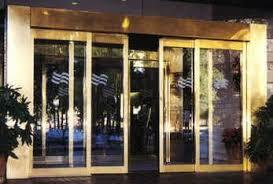 Turn to us to be sure every single automatic door service in Toronto, Ontario, is quickly and expertly done. Troubleshooting automatic doors demands skills. No problem is a joke when it comes to the automatic door opener. Call our team to have peace of mind that a qualified tech will arrive shortly and fully equipped to troubleshoot the opener and do repairs. We always hurry to send out help when there is something wrong with such operators. It’s not safe and it’s not good for your business to leave automatic door problems unaddressed. We cover all automatic door repair Toronto needs quickly, yet in the most proficient way. Trust that our team dispatches pros with expert knowledge and the skills to service all types of automatic doors. 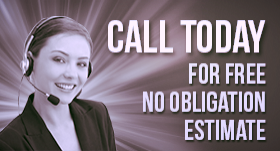 Should you ever face an urgent issue, place a call to us off the bat. Should you ever notice anything out of the ordinary with the way the automatic door runs, don’t ignore it. Turn to us. A pro will diagnose and address the problem in a jiffy. Every time you’ve got troubles, contact CT Locksmith Toronto. We embrace all needs with the same courtesy and professionalism. When the day for automatic doors installation comes, ask our help. Having a new opener installed in a correct way will ensure the safe and proper operation of the automatic commercial doors. Just like we do with any other service, we will dispatch a qualified tech to install the new opener. Make sure of the automatic door’s excellent and long-lasting performance by assigning all services to us. Call us whether you need replacement, maintenance or automatic door repair in Toronto.